Dr. Sara Kirby grew up in Airdrie, Alberta. She obtained her Bachelor of Science Degree in Nutrition at the University of Alberta and her Doctorate of Optometry at the Pacific University. 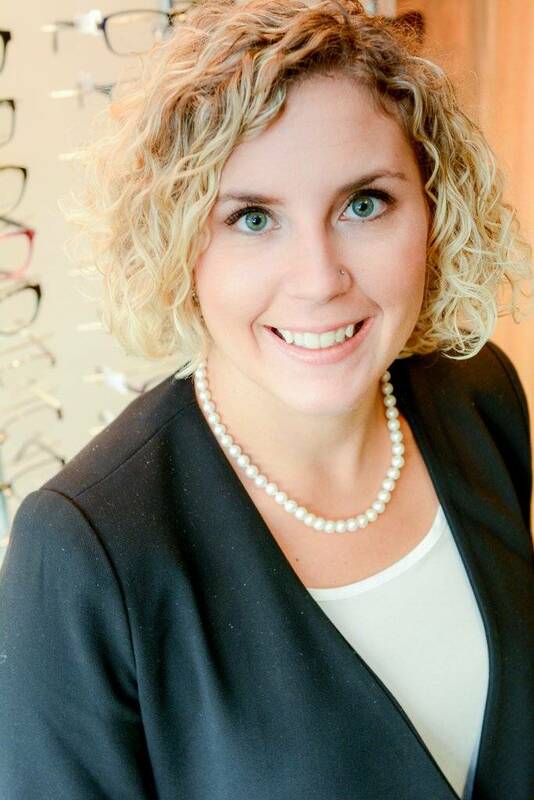 She joined the Tsawwassen Optometry Clinic in 2012, and in 2014 she became a partner. She is a full registrant A (can treat eye diseases) of the College of Optometrists of BC. She enjoys working with patients of all ages, specifically with the elderly and children. Her optometric interests include contact lenses and ocular disease. She has a passion for helping those less fortunate and has completed eyecare mission trips to El Salvador and Peru, providing eye exams and glasses to those in need. She has also volunteered with the Special Olympics and other eyecare screenings. Dr. Kirby and her husband, Owen, have two daughters, Madeline born in 2015 and Hannah born in 2017. She is currently a member of the Rotary Club, a Board Member for the Tsawwassen Business Improvement Association, and is involved with various community projects. During her free time she enjoys an active lifestyle including running, hockey, snowboarding and golf.